On Thursday, April 19, at 7:00 – 8:30 PM, there will be a must-see documentary movie at the Smoky Mountain Community Theater (130 Main Street, Bryson City). 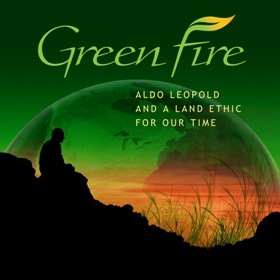 It recalls the life of perhaps the most influential U.S. conservationists of the 20th century, Aldo Leopold. The movie is more than dry history — it is a contemporary summons to challenge us to take care of the natural resources around us. If you do one thing for WATR or for your green-minded growth this year, come and see this film. At least 25 students from Swain High should attend, and they should be bring their parents. Friends should bring friends. WATR’s contacts in the world of building and excavating are especially invited. If you can help to usher or staff the WATR table — call the office. This entry was posted in Activities and Events, Bryson City NC, Environmental Stewardship, Swain County, Things to do along Tuckasegee River and tagged Aldo Leopold, documentary, Green Fire. Bookmark the permalink.